Open you Backupery application and go to Settings tab. That’s it. 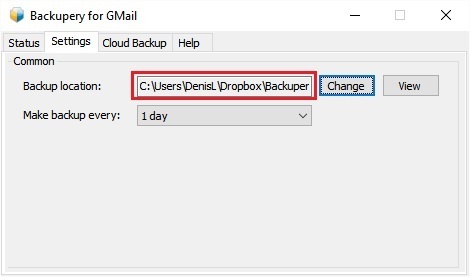 All the backup data will be uploaded to your cloud (Dropbox, Google Drive, etc.) automatically.